Great!!! Thanks a lot for this new mod!!! So everyone, before I attempt my next mod project, I think I'll make an attempt to create PS2 skins of Cloak and Dagger, based on their hit (MCU?) series on Freeform. Maybe update Cloak's mod a bit. He was indeed. Who knew Batman can make for a great Vulture? Yes!!! Vulture! Thanks a lot. No problem, Julio. Maybe if your past plans for Kraven the Hunter somehow resurface, we can then have the original Sinister Six in MUA. You're welcome. Vulture is a welcome addition to my Spider-Man themed roster, as Spidey has a rogues gallery list a mile long. I have a question. Is there a super villain in the secret mods? Because if I am going to look for the password then I don't want to be disappointed. So, I know I said I was going to work on making skins of Cloak and Dagger in their hit show attire, but I ran into problems. See, Olivia Holt's version of Dagger is easy -- just take a female form, turn her hair blonde, put her in a white t-shirt, white sneakers, and some blue jeans or blue jean mini-shorts (she's worn both), and BAM. She's done. Aubrey Joseph's version of Cloak, however, is more complex -- particularly his hair and black varsity jacket. Does anyone have ideas on what skin I should use for him? I may leave it someone else to create those, as I tend to take awhile creating skins, and I'm a hit-or-miss skinner. And for those wondering who my next mod project is... it's Miss America! 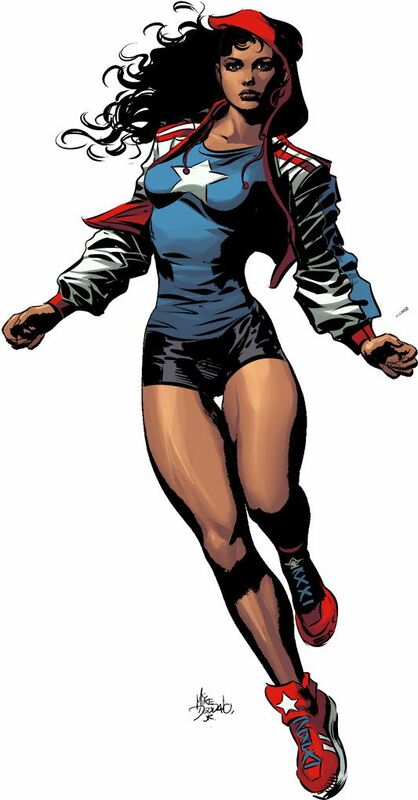 (Some call her by her real name America Chavez, or MAC, but her official code name is Miss America.) The challenge for me with this one is to make her different from other super strength girls such as Rogue, Jessica Jones, M and others. She has some ability to kick open dimensional portals -- I'll find some way to use that. Stay tuned. I'm not familiar with the character but she seems extremely cool I think I'd enjoy a mod of her. As for the skins, I can't help obviously, but I think it's cool you're making ones for the TV incarnations of Cloak and Dagger, or trying to. I haven't seen that show, but I've been meaning to. I'm almost done with the second season of the amazing show Black Lightning; maybe after that's done I'll watch it. My life, my love, and my lady is the sea. I just downloaded the Inferno mod and I must say he's amazing but it seems that his mannequin clashed with Siryn. Is there anyway to fix this? Yes, my second favorite Young Avengers next to Hawkeye. Sorry, but no, there isn't a fix. Due to having limited space, some mods are forced to share numbers with other mods. But mannequins only allow for one, so there will be clashes there. Great! Miss America is so cool. I think it could be tricky to do her star shaped portal. "It doesn't matter what you do, but how you do it." I won't be able to create a star-shaped portal, but I have a plan to improvise. I like Miss America -- she has enough strength, speed, durability, and reflexes to even rival that of Wonder Woman! However, I absolutely hated her solo series by Gabby Rivera. It was awful in so many ways, and I was glad it got cancelled. This mod I'm making of her will feature only the cool parts of her from Young Avengers and The Ultimates. For my sanity, I'm just going to act like her solo series didn't exist. BTW, are there any voice files of her anywhere? I can't think of an in-game voice that sounds Latina. White Tiger used Ronin's voice, so I'd rather not use that one again. If anyone knows a voice I can use for her or have voice files of her, let me know. She's about 40% complete. If there are sound files for Miss America, it gotta be in that Avengers Academy videogame. I'm excited, I think America is great like you said, she was a lot of fun in Young Avengers/Ultimates. But yeah her solo series was bad and I think most big fans of the character agree, I remember everyone expressing being so frustrated that the character had to endure that run at the time on social media. Unfortunately it gives people ammunition in trashing the character, BUT like with any character, there is always the chance to shine with the right story and writer. I have good faith you'll do her a lot more justice. Future Fight had some neat ideas for her powers but I'm sure you have some of your own that'll turn awesome! And here's another heavy hitter coming through! Introducing my mod of America Chavez -- the super-strong, super-fast, lesbian Latina from the Utopian Parallel known by her official code name, Miss America. Obviously I'm not talking about the beauty pageant by the same name, but she's beauty, she's grace, she'll punch you in the face! (I couldn't resist. ) Her mod is brutal enough to have the Masters of Evil running away fast before she crushes them. Check the Ultimates member and Young Avenger in action. -4 powers, 2 boosts, and an Xtreme. 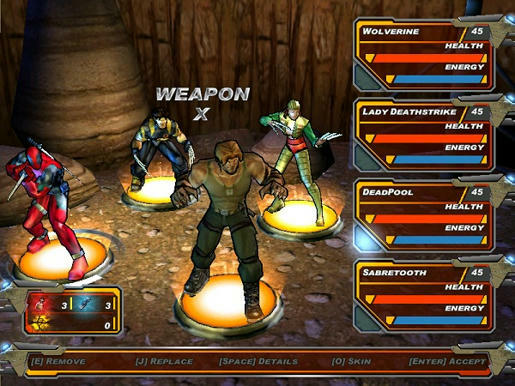 -1 skin & HUD, 2 loading screens, icons, mannequin, and sound files using her own voice from Marvel Avengers Academy. -Uses assigned number #61 (shares with Lizard - will clash at mannequin). 1. Utopian Punch: Punches an enemy hard, causing sudden dizziness for a time. 2. Superkick Party: Moves with light speed to each enemy and kicks them upward and back. 3. Latina Shockwave: Hurls special earth-shaking shockwaves per punch at enemies. 4. Dimensional Portal: Kicks open a star portal that acts as an environmental hazard for a time. 5. (Boost) Light Speed: Moves at the speed of light for a time, also gains energy per kill. 6. (Boost) God Bless America: Her team gains extra melee damage and defense. 7. (Xtreme) Star Power: Projects a large star that releases a lethal energy blast on all enemies. Outsider - Mod creation & coding, effects, HUD, loading screens, icons, sounds, hex-editing etc. Very cool mod! Nice work! Wow, I was just about to ask if you needed the sound files from Avengers Academy but you're already done. Well done my friend, also that second move is sweet. Two sweet some might even say. I'm gonna take a short break, but after that, my next project will be a secret mod in which you must find the password at the Phantom Four web page over at https://www.phantom-4.com. Oh, it'll be a good one. 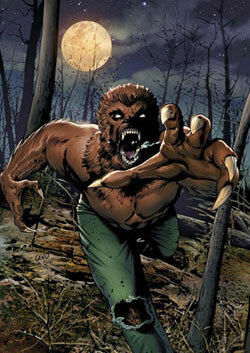 After this mystery character, I may allow you all to decide who the next one should be in the next poll... Stay tuned. Ah, you caught my reference in the name of that second move... unless people are into wrestling, they won't get it.